Warm your heart and share your cozy photo memories on a personalized hooded sweatshirt. 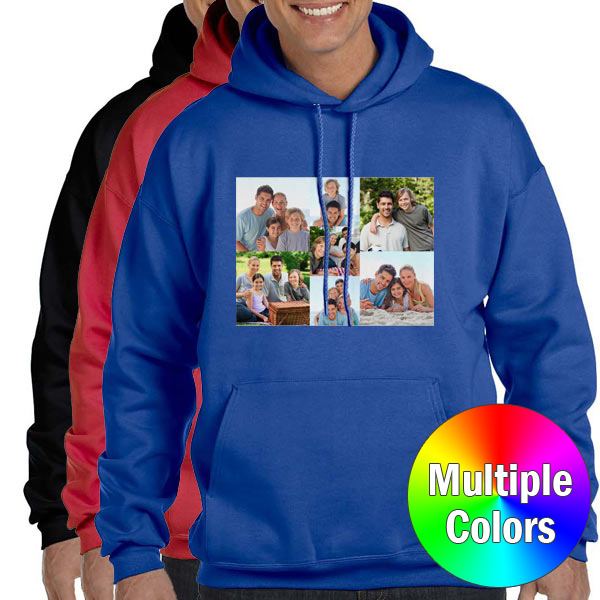 Our photo sweatshirts offer quality full color printing on the chest in at 9x12" size and are available in 14 different colors. Custom printed hoodies (without zippers) are made slightly larger so they can easily be pulled over your clothing. Add a logo, Quote, or photo and create your next favorite hoodie or design a team hoodie for you and a special group of individuals and enjoy your unique sweatshirt.